4 Bedroom End of Terrace House For Sale in Lewes for Asking Price £375,000. Freeman Forman are delighted to market this beautifully presented and charming four bedroom family home. Accommodation includes a stunning 34ft dual aspect lounge/kitchen/dining room with a wood burner, velux windows, bi folding doors and fitted kitchen with corian worktops. Stairs ascend from the entrance hall to provide two double bedrooms both with fitted wardrobes and a recently updated family bathroom. Stairs ascend to the final floor to provide a master bedroom with far reaching views of the South Downs and an en suite shower room. The final fourth bedroom provides an abundance of storage opportunities in the eaves. 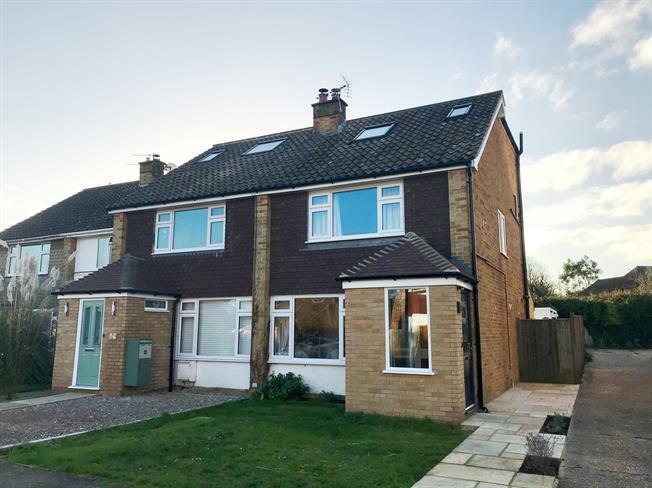 Externally the property provides front and rear gardens, with the rear garden being largely laid to lawn with a patio area and access to the garage which is adjoined to the garden. Further benefits include underfloor heating, double glazed windows and engineered oak flooring. The current owners have substantially extended and updated this property which must be viewed to be appreciated.